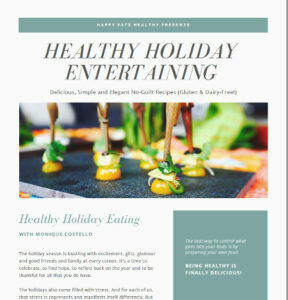 Enter your email below to receive your free copy of our Healthy Holiday Entertaining ebook. 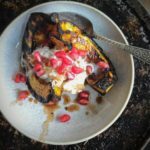 Plus we’ll send out weekly recipes, tips, articles and you’ll be the first to know about specials and new class announcements. We promise to NEVER share your information with anyone and you can always unsubscribe at any time. *are you already on our mailing list? Just send us a quick email to monique@happyeatshealthy.com and we’ll send you the ebook straight away! Get your health back on track with our 21 day Refresh. We are going beyond just food, calories and exercise. Do you feel like you are doing all the ‘right’ things yet not seeing any change? Are frustrated at all the ‘dieting’ advice in magazines, online and from friends and family? Does the idea of drinking juice for 5 days revolt you?- US TOO!! Yes we are going to eat clean and shed some toxins. Yes we are going to work in some ME-TIME in the form of self care. But it’s all going to be easy and doable. And you won’t be alone! See more and register today!